The JobCast Updates Center can be found at the top of the JobCast Actions menu in the upper righthand corner of each JobCast. It includes three features that will allow you to keep all of the agencies working on your JobCast informed and up to date: Recruiter Q&A, Announcements and Candidate Flow. 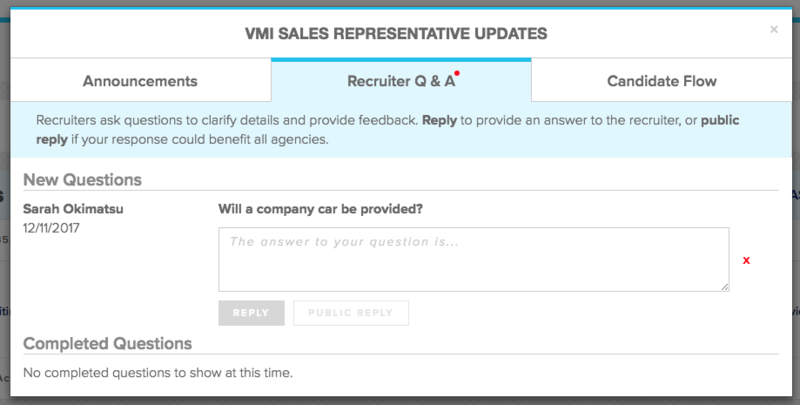 Agencies can now ask you questions about your JobCast and you can provide answers for them in-line. Answer privately to respond only to that agency, or answer the question as a public reply if the answer would help everyone working on the job. Pro tip: A red dot indicates that you have an unanswered question! 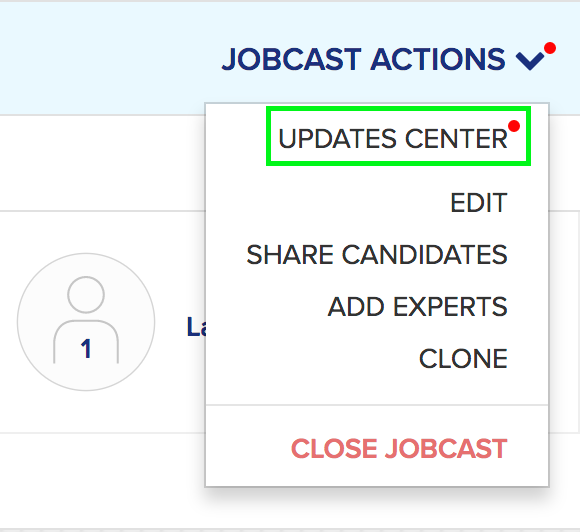 Use Announcements to send an update about the JobCast to all of the agencies working on it at once. Let them know you are now accepting non-local candidates, or that an MBA is needed. Need to tell recruiters to slow their submissions for this JobCast? 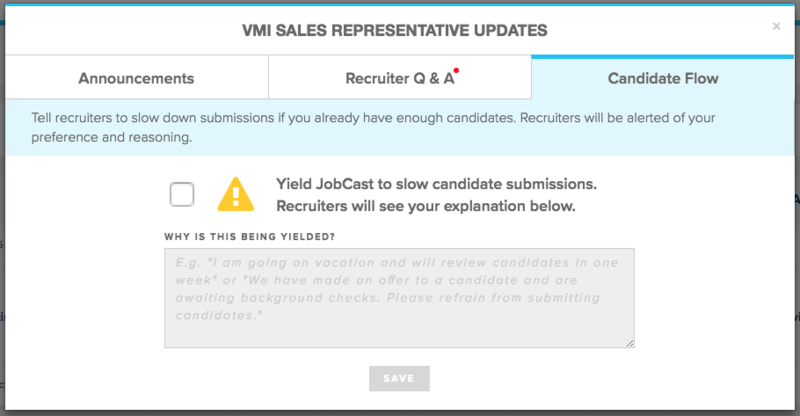 Adjust the JobCast's Candidate Flow to Yielded if you are near a hire, or are leaving the office for an extended period of time.